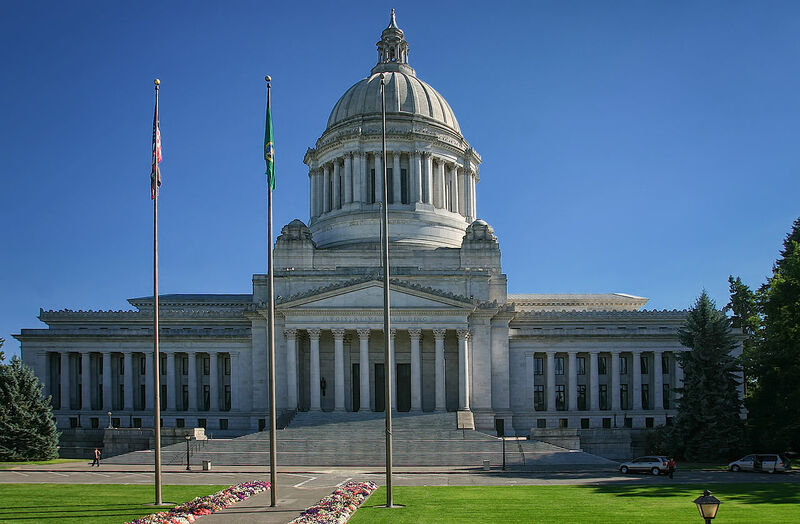 As we discussed in the last issue of Washington Water Watch, the State Legislature passed a bill (ESSB 6091) that was designed to “fix” the Hirst decision. CELP is deeply concerned about the potential effects of this bill. First, at least for the next few years, there will be no meaningful controls whatsoever on permit-exempt withdrawals in most of the state. Most landowners will be able to get a building permit simply by paying a minimal fee, regardless of the effect on streamflows or other water right holders. Once these new uses have been established, they will represent permanent withdrawals of water, regardless of whether they adversely affect the environment. Second, and even worse, another part of the bill is clearly intended to overturn the Foster decision, which requires that water withdrawals be mitigated with water. Foster is a very important control on the use of “out-of-kind” mitigation, which can result in dewatering streams and harm to fish. The bill does set out processes that are intended to lead to plans (established by watershed planning groups or newly established watershed enhancement committees) for mitigation of well impacts, but its structure creates strong incentives for indefinite delays: any plan adopted would almost certainly be more restrictive than the current situation created by ESSB6091, so that there will be strong pressure to do nothing. Along with these serious concerns, there is some reason for optimism. The bill takes a “watershed enhancement” approach and calls for future mitigation plans to offset the impacts of wells on streamflows. As expressions of policy these are welcome statements. It also provides funding for projects designed to offset the impacts of permit-exempt wells, and at least on paper requires that streamflows be enhanced. However, as so frequently happens, the devil will be in the details, and the hard work is yet to come. CELP will be working to ensure that the Department of Ecology’s actions, and those of the watershed enhancement committees, actually benefit streams. Ecology has announced that it plans to hire additional staff to implement the streamflow enhancement goals of the law. This is a welcome development. It has also begun to issue statements offering guidance as to how the new provisions will be interpreted and applied. How Ecology plans to accomplish the streamflow enhancement goals should become clearer as more guidance is issued. Ecology will also be responsible for awarding funds to streamflow restoration and enhancement projects and plans to begin accepting proposals this summer. Careful evaluation of these projects will be critical in order to ensure that real streamflow enhancement occurs. 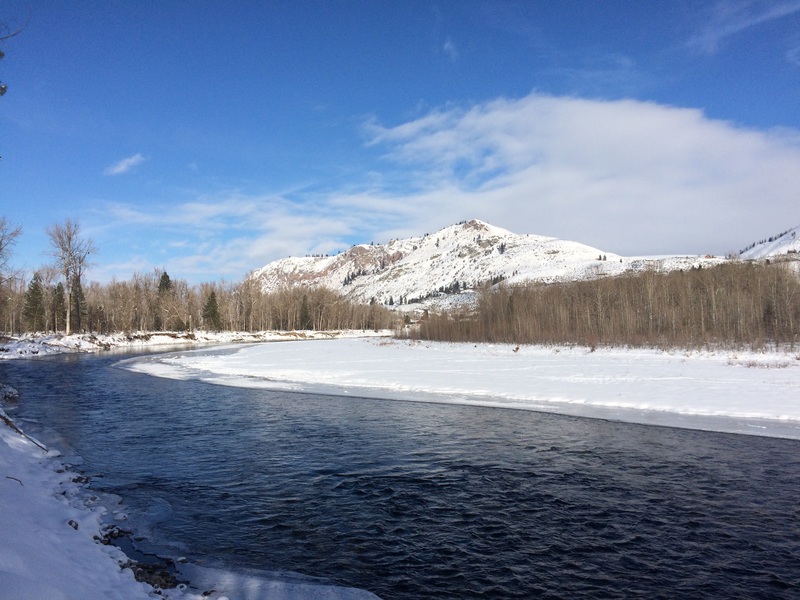 The work of the legislative task force on out-of-kind mitigation also bears watching, as a “Foster fix” has an even greater potential to impair streamflows. CELP is cautiously optimistic that a regulatory framework that protects streamflows, fish, wildlife, and other water users can be established. However, we must be vigilant and carefully evaluate proposals for mitigation of water use, so that the goal of enhancing flows and protecting river/stream environments is actually met. 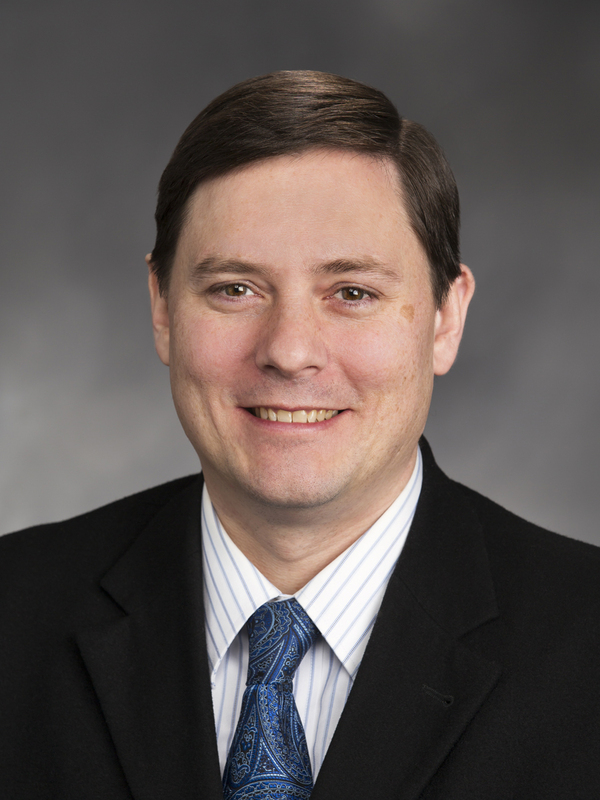 Our state legislature began this year’s session by passing a bill to remove the 2016 Whatcom County v. Western Washington Growth Management Hearings Board (“Hirst”) decision’s protections for groundwater and streamflows. 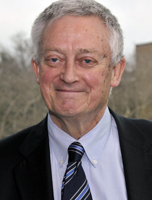 Hirst reaffirmed existing law and required that counties ensure water is both physically and legally available before granting building permits. This common-sense rule provided a critical check on withdrawals of groundwater that affect streams and rivers, and harm fish habitat. Unrestricted groundwater withdrawals can impair the rights of senior water holders, including users of existing wells who are now seeing their wells go dry. Worse yet, the bill takes a step towards reversing the Foster v. Ecology decision, which requires that impacts to streams be mitigated with replacement water, rather than with non-water (“out-of-kind”) habitat restoration projects. Concerned that having to show that water was actually available could slow development in rural areas, counties, the building industry, and property rights groups pressured the Legislature to find a “fix.” On January 18, the Legislature passed a bill (ESSB 6091) that allows counties to approve building permits that rely on permit-exempt wells. In WRIAs where Ecology has adopted an instream flow rule that specifically addresses permit-exempt wells (for example, WRIA 18, the Dungeness River), compliance with the applicable rule is sufficient to show water availability for a building permit. Where Ecology has adopted a rule that does not speak to permit-exempt wells, a plan to restore and enhance streamflows is to be generated. In WRIAs that created watershed plans under the 1998 Watershed Act, the bill requires that these plans be updated to include projects to “measure, protect, and enhance streamflows,” and to offset impacts of permit-exempt wells. If no watershed plan was previously developed, the bill directs formation of “watershed restoration and enhancement committees” composed of stakeholders. These committees are heavily weighted towards stakeholders who have an interest in developing water, rather than preserving the resource, and CELP is concerned that they would not have adequate incentives to truly restore and enhance the streamflows. In watersheds where Ecology has not yet adopted an instream flow rule, an applicant need only show that water is physically present (in other words, there is no requirement to mitigate or compensate for water use). This is the situation in about half the state’s watersheds, including some that are experiencing high growth pressures such as the Cowlitz River (WRIA 26). ESSB 6091 stresses a “watershed restoration and enhancement” approach, rather than requiring that water use from permit-exempt wells be mitigated. While the goal of protecting and enhancing streamflow is a worthy one, this bill has significant flaws and will not provide adequate protection for streams, fish, or people who rely on them. Development is essentially unrestricted in most areas until the new plans are completed (2019 – 2021). The damage to streams will likely be done before any regulations are established. ESSB 6091 also undermines mitigation of future water use by authorizing “out-of-kind” mitigation projects (such as streambank restoration or addition of large woody debris to a river channel; by definition, such projects do not provide replacement water) to compensate for new water uses, rather than requiring replacement water to maintain streamflows. CELP believes that out-of-kind projects will become the path of least resistance in compensating for water use, and streamflows will inevitably be impaired. Even the best habitat is of little use if there is insufficient water in the stream. CELP is especially disappointed that ESSB 6091 lacks any metering provision, or any other method to determine how much water is actually used. Without metering, compliance with the limits in RCW 90.44.050 or with any limits set by the respective watershed committees cannot be verified, and there will be no way to know whether the impact of permit-exempt wells is actually being “offset.” Because quantities cannot be verified, water use under this scheme is in practice unlimited. Simply relying on users not to exceed allowable limits is poor policy and could make much of the watershed protections plans meaningless. 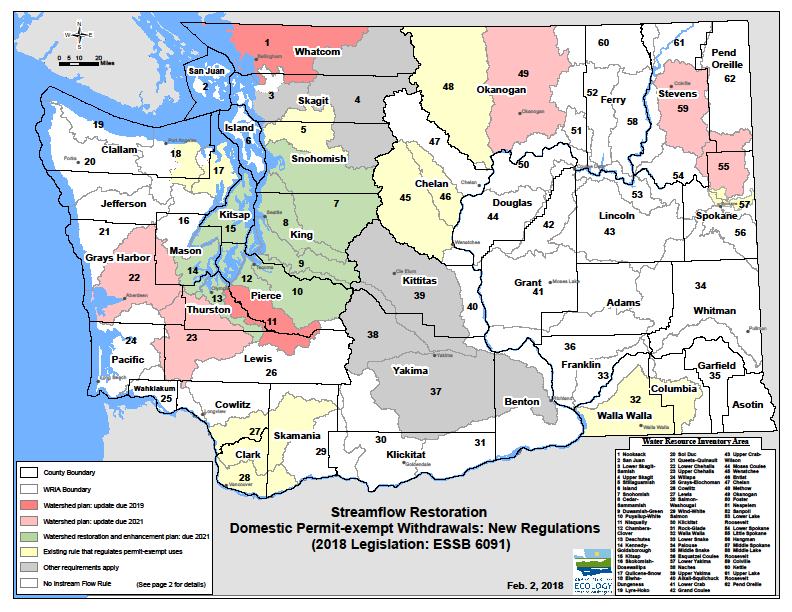 ESSB 6091 requires Ecology to conduct a pilot study of “the overall feasibility” of metering groundwater withdrawals (including permit-exempt wells) in the Dungeness (WRIA 18) and Kittitas county (WRIA 39) areas. But no pilot project is needed. Ecology’s rules in these areas already require that new permit-exempt wells be metered, and metering has already proven feasible. Rather than directing Ecology to waste time and resources on these studies, a better approach would be to require metering on all new permit-exempt wells, so that the data needed to ensure that streamflow impacts are compensated for can be gathered. Finally, ESSB 6091 establishes a legislative “task force” with the mission of identifying changes in law to effectively overturn the Supreme Court’s 2015 Foster v. Ecology decision. Foster held that water use that impairs an instream flow or other senior water right must be mitigated by providing substitute water at an appropriate place and time. This provided important protections for salmon, which depend on water being present in streams at the time it is needed for migration, spawning, and rearing. The bill authorizes a list of pilot projects that appear intended to demonstrate out-of-time, out-of -place, or out-of-kind mitigation. CELP is concerned that this provision is designed to reach a preordained conclusion that out-of-kind mitigation is acceptable, and to pave the way for its broader use. The consequences to Washington’s rivers and the fish that depend on them may be disastrous. Check out CELP’s February edition of Washington Water Watch! 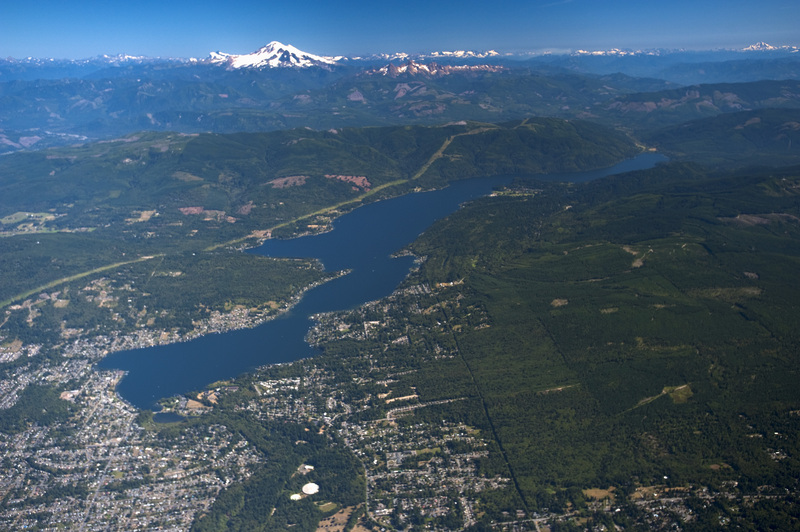 In this issue: an update on water legislation making its way through the State Legislature, an article on the Grays-Elochoman & Cowlitz watersheds, and updates on our upcoming events. Read the February issue of Water Watch here. January/February Edition of Washington Water Watch is Out! Check out the latest issue of Washington Water Watch! This edition features water issues in the legislature, an update on Dungeness River litigation, and news about the WSU Water plan and Columbia River Treaty letter. Meet our new Development and Outreach Coordinator and learn about our upcoming events in Spokane and Idaho, our call for photos and stories and more. 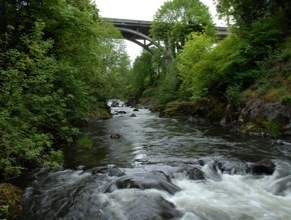 Governor Inslee’s recent declaration of drought in 24 of Washington’s 62 watersheds has triggered a flurry of activity. By law, drought is declared when a region’s water supply is at 75% of normal (or worse) and this water deficit will cause “hardship” to water uses and users. Washington has experienced a fairly normal year for rain, but air temperatures over the winter were nearly 5 degrees F higher than normal, making the 2014-15 winter the warmest on record. As a result, snow fall was scant. Mountain snowpack is like a natural reservoir. 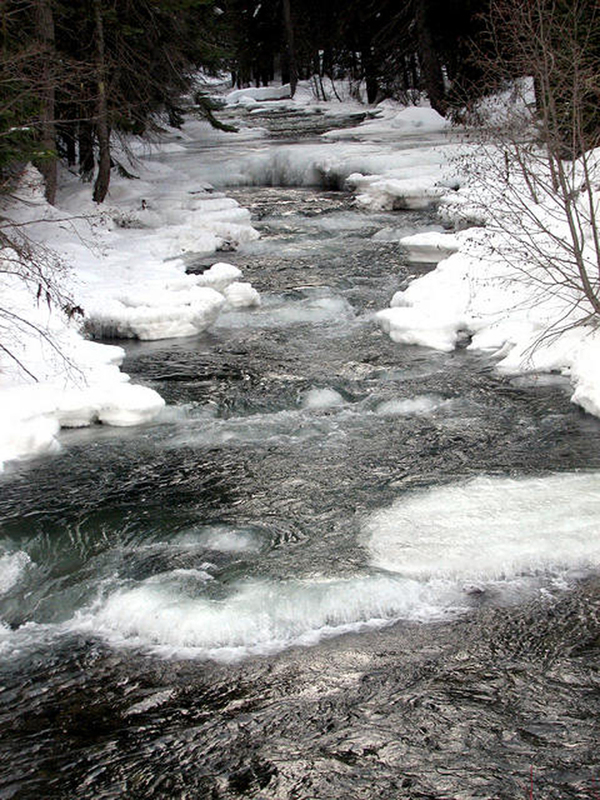 As accumulated snow melts over the summer, it percolates into groundwater and feeds the headwaters of streams. 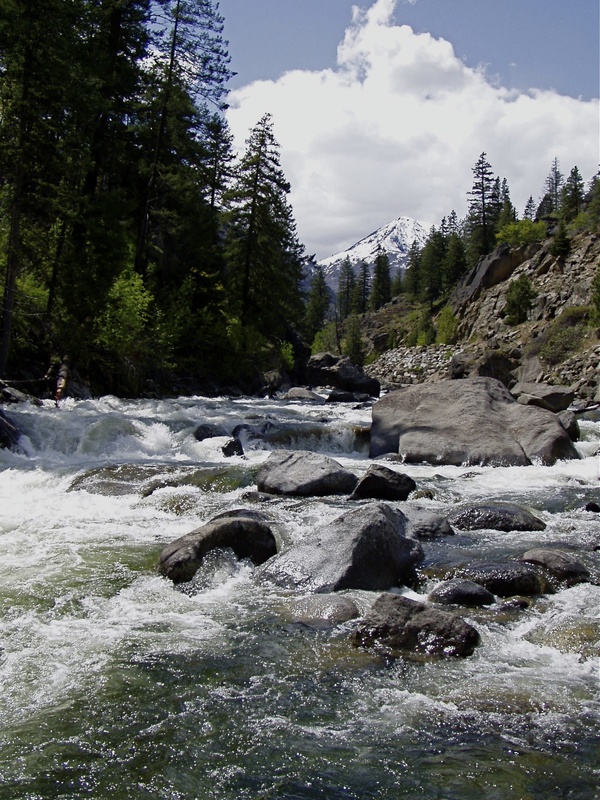 Water will flow in streams during summer months, even with no rain, as a result of snowpack and groundwater reserves. 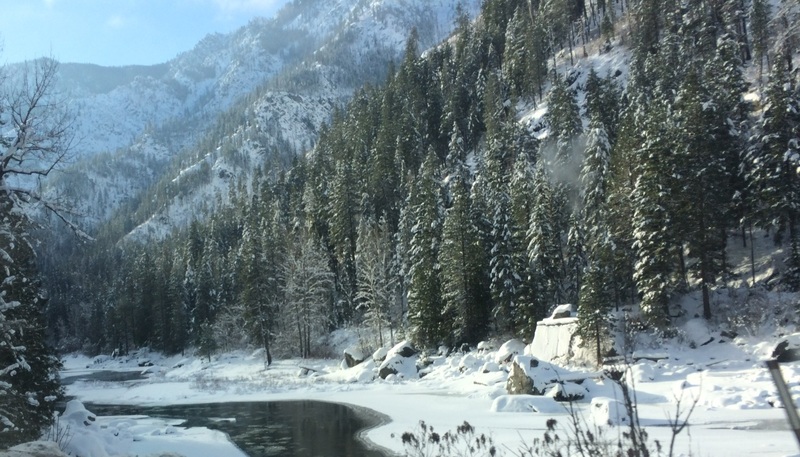 This year, snowpack is substantially less than normal for the Olympic, Cascade and Northern Rockies mountains, and as a consequence, we are facing a very dry summer season in Washington. The biggest impact will be on fisheries. Irrigated agriculture is also taking a hit, especially in the Yakima basin. Municipal water supplies, especially for cities with big reservoirs (e.g., Tacoma, Seattle, Everett) appear to be in good shape. drought activities. The WSAC has requested a $9 million appropriation to drill emergency wells, expedite water transfers, and provide loan and grant funding to farmers. In an attempt to alleviate instream flow depletion, Ecology and others are conducting “reverse auctions” in the Yakima, Walla Walla and Dungeness basins. Essentially the state offers to lease water rights from farmers who are willing to forego irrigation this summer. The goal is to keep water in upper tributaries that provide habitat for endangered salmon species. Ecology is also seeking to lease or purchase existing water rights to offset use of emergency wells in the lower Yakima Valley. These wells were drilled in 1977 but may not be used except in drought circumstances. Since 1977, lawsuits and a US Geological Survey study have established that virtually all groundwater in the Yakima basin feeds into the lower Yakima River. Thus, pumping from emergency wells without mitigation would impair existing users and instream flow water rights. The bottom line is that water in the Yakima River basin is over-allocated, and in water-short years, junior water rights (called “pro-ratables”) take a big hit. Ecology will not authorize use of emergency wells without mitigation. This raises public policy questions. Should it be the responsibility of Ecology to find “mitigation water” for junior users during a drought? Should Washington taxpayers underwrite the purchase of water for junior users? Of particular concern, when junior users convert from annual to perennial crops, dramatically increasing the financial risk associated with drought, who bears that risk? The water users, or the public? The Legislature has also convened a “Joint Legislative Committee on Drought” which is meeting regularly to discuss drought actions. Their meetings can be viewed on TVW. The drought declaration may be extended to cover even more watersheds, and a statewide declaration is even possible. 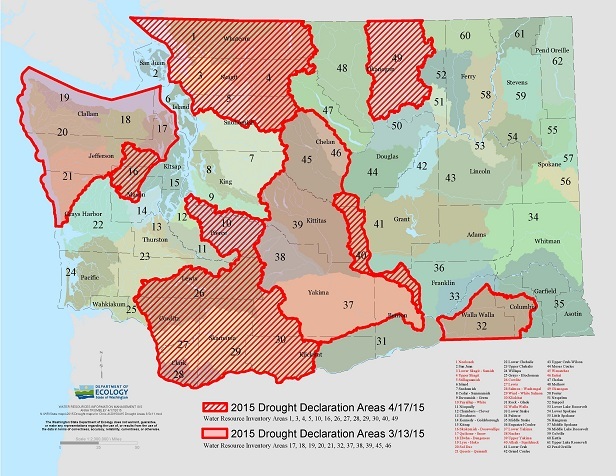 Large Puget Sound municipalities are comfortable with full reservoirs, and do not want a drought declaration that would lead their customers to conserve (and thereby reduce revenues). But, smaller purveyors and stream flows around the state will be hurting given the snowpack scenario. Drought declarations can lead to much mischief in the public policy arena. CELP will report on drought activities throughout the spring and summer months to assess how well agencies and the Legislature respond in protecting public resources, i.e., public waters and public funds.